Family can be a mixed blessing, especially around the holidays. The things that we love and hate come into high definition during days like Thanksgiving, with its lofty expectations of family harmony and togetherness. And in fact, the expectations can be impossible to meet, especially when people come to the feast with the burden of past baggage or secrets weighing them down. 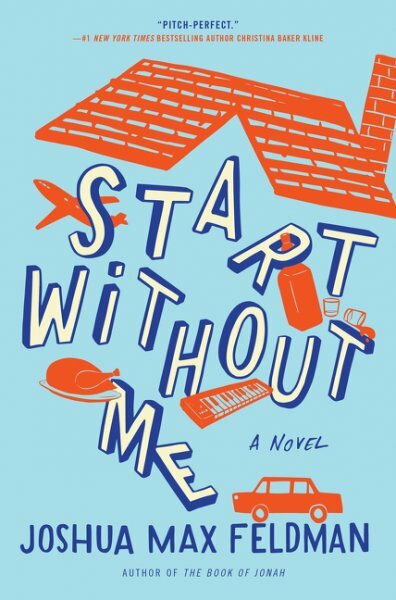 Joshua Max Feldman's new novel, Start Without Me, tells the tale of two strangers, their two different Thanksgivings, and how they come together in their despair as they struggle with where they are in life. Adam, a former musician who is struggling to maintain his hold on sobriety, is home for Thanksgiving for the first time in years but he is spooked by the thought of his whole family around him and when he accidentally breaks the coffee pot before anyone else wakes up, he flees the house and heads for the airport to go home, away from all the disappointment he exudes like a cloud. Marissa is a flight attendant, lingering in the airline's day room rather than get on the road to spend her short layover at her wealthy in-laws' home. Her in-laws have never really liked her, the poor daughter of an alcoholic mother. The fact that her marriage is faltering and she's pregnant from an uncharacteristic one night stand with her old high school boyfriend, ratchets up her dread of the coming ordeal. Procrastinating just a bit longer, she stops for coffee in the airport hotel's restaurant, which is where she meets Adam. They are two tired, worn out strays who recognize the despair and loneliness in each other and connect despite the incredible unlikeliness of that connection. As they meet up over and over again during the course of the day, each trying to work through their emotional pain, to confront the demons haunting them, and to keep the weight of their pasts and past mistakes from drowning them, they are slowly moving towards an understanding and acceptance of their separate futures. Neither Adam nor Marissa are particularly likable characters. They are sad and flawed and their respective weaknesses are on display throughout the entire novel. They desperately need to find the small kindnesses each offers the other because they cannot, or won't, find kindness from others around them. There is no grace for the ordinary traumas of their lives. A pervading feeling of disappointment threads through the novel and Adam and Marissa are clearly worn down and defeated themselves. The story is quite slow moving, mostly character driven, and split into two clear halves. The first half is slightly less serious than the second, at least in part because Adam and Marissa's painful histories, the unhapppiness and choices that formed them gradually comes out and because the reader sees each of them interact with family, confirming for the reader what each has said about their chances for a decent holiday, all in the second half. Adam's sister is (understandably) angry and frustrated and unforgiving with him while Marissa's in-laws are (not understandably) as hateful and dismissive of her as she thinks. While the novel feels authentic and realistic, it is also painful and depressing and the slightest glimmer of hope in the end isn't enough to make the reader feel as if these two characters can overcome everything stacked against them. This is not a happy families holiday story. It is not a romantic tale of serendipitous meeting. It is the tough and doleful tale of two damaged human beings who cross paths briefly amid the somber wreckage of the holiday, perhaps each other's lifeline or perhaps just a chance meeting. 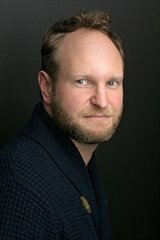 For more information about Joshua Max Feldman and the book, check out his website, like him on Facebook or follow him on Twitter. Check out the book's Goodreads page, follow the rest of the blog tour, or look at the amazon reviews for others' thoughts and opinions on the book.